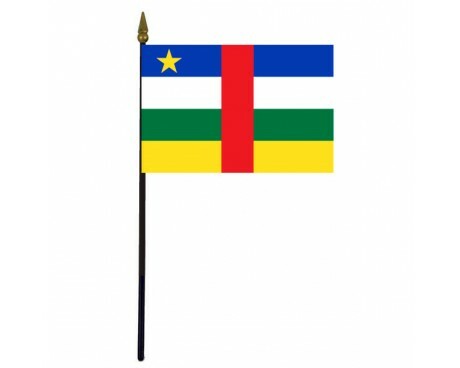 Central African Republic Stick Flag - 4x6"
The Central African Republic flag, like the flags of many other nations in African, dates back to the period of African decolonization that took place in the middle of the 20th century. The flag of the Central African Republic is one of the most unique flags in Africa because it incorporates an unusually large variety of colors and uses an unusually complicated pattern. It does so in order to show respect for both the nation's African heritage and its history as a part of the French Empire. The Central African Republic flag consists of four horizontal stripes of blue, white, green, and yellow that are bisected by a vertical stripe of red. A golden star is displayed in the flag's canton. The colors were chosen in order to combine the Pan-African flag with the flag of France. The green and yellow stripes were taken from the Pan-African flag, while the blue and white stripes came from the flag of France. 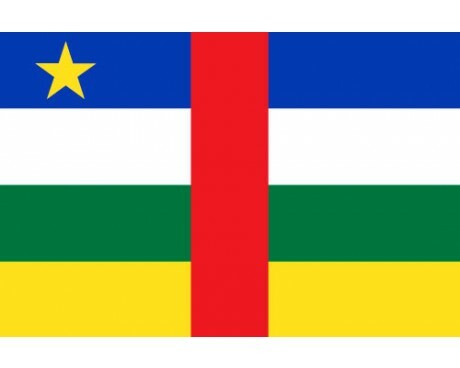 Both flags feature a red stripe, so the red stripe on the flag of the Central African Republic was placed such that it runs through the elements that came from both of the original flags. The colors also have symbolic meanings of their own. The yellow stripe represents tolerance for the diverse people of the nation, while the green stripe stands for faith and hope. 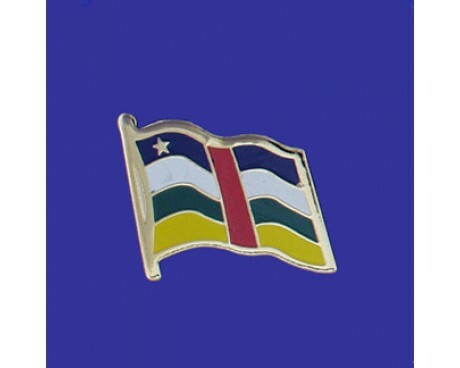 The red stripe represents the blood that the people of the republic shed during their independence movement, while the white stripe represents peace and the blue stripe stands for freedom. 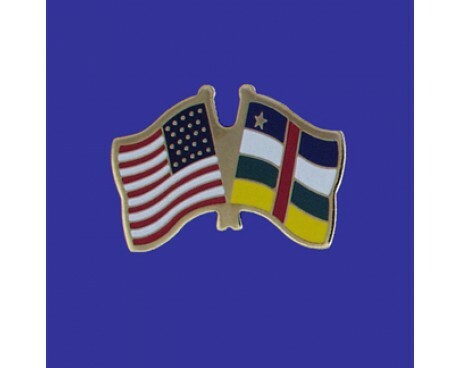 The star in the flag's canton represents the country's movement towards peace and freedom. It was taken from the logo of MESAN, the first political party to lead the nation after it gained its independence from France. French colonies usually did not receive flags of their own, so the Central African Republic was represented by the national flag of France while it was a colony. The country's first flag came into use when it became an autonomous territory in 1958, and it was confirmed as the nation flag when the country gained full independence from France. The flag of the Central African Republic has not undergone any changes since it was first adopted, although it was adapted to create an imperial banner when Emperor Bokassa I took power in 1976. The banner was used in addition to the traditional flag, and it fell out of use when Bokassa left power in 1979.